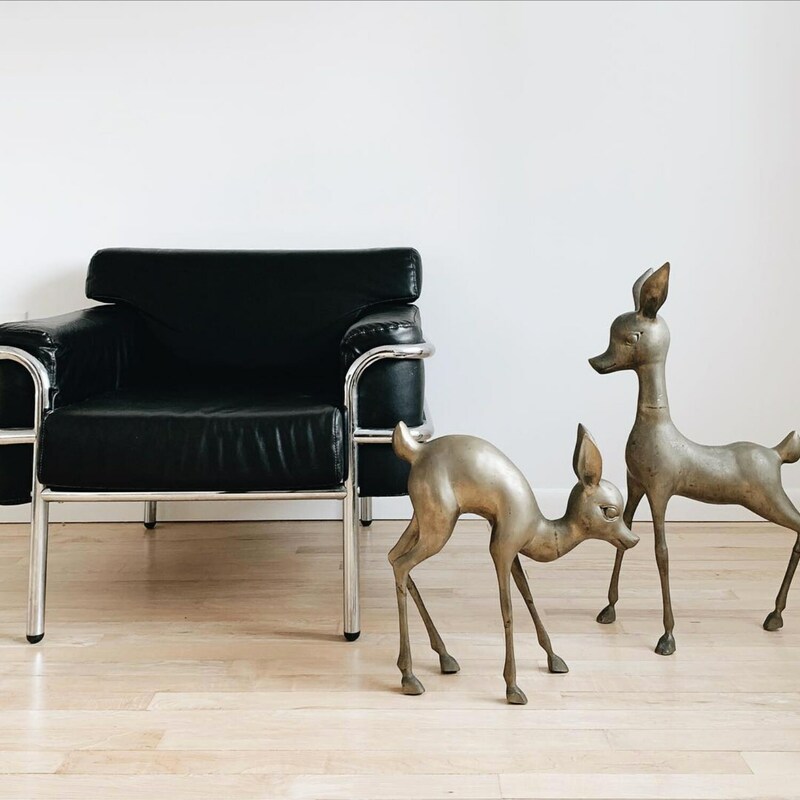 This unique pair of brass deer/reindeer make quite the statement piece. Adorn your fireplace hearth or use them as a centerpiece. Show wear and patina/minor corrosion from age. Large deer measures 27.25" x 18" x 7.25"
Small deer measures 16.5" x 16.5" x 6"